The New South Wales Government has announced plans to better align Sydney's ferry services with bus services as part of a public transport timetable overhaul. 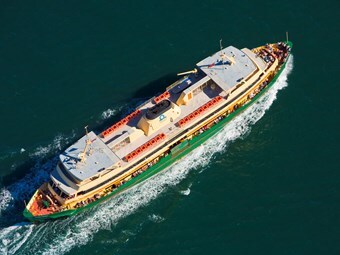 NSW Transport Minister Gladys Berejiklian on Wednesday announced plans to franchise Sydney Ferries and bring in a new operator to improve customer service. the plans, government will restore 140 ferry services and introduce 25 new Parramatta River services. Berejiklian has promised more than 50 new ferry services per week from October this year and six new ferries to commence operations from 2016.
initiative will allow better coordination between ferry services and bus services. "As part of a complete overhaul of public transport timetables in October 2013, ferry services will be better aligned to buses, allowing customers to travel seamlessly around Sydney’s transport network," Berejiklian says in a statement. More frequent services from eastern suburb wharves, including an increase in Rose Bay commuter peak express services.